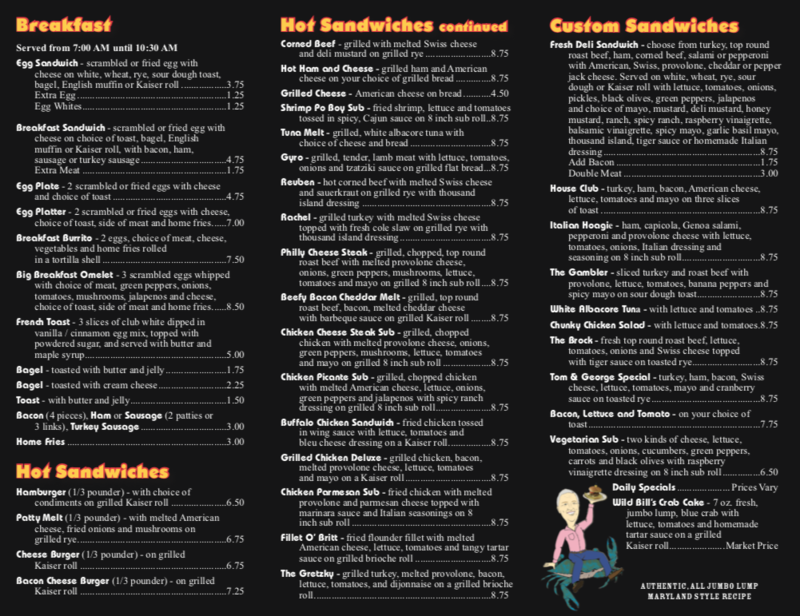 The menu offers a variety of popular breakfast entrees and 38 different hot and cold sandwiches and wraps. In addition, there are home made soups, salads, delicious French Fries, onion rings and mozzarella sticks. A Daily Special is posted each day on the website. 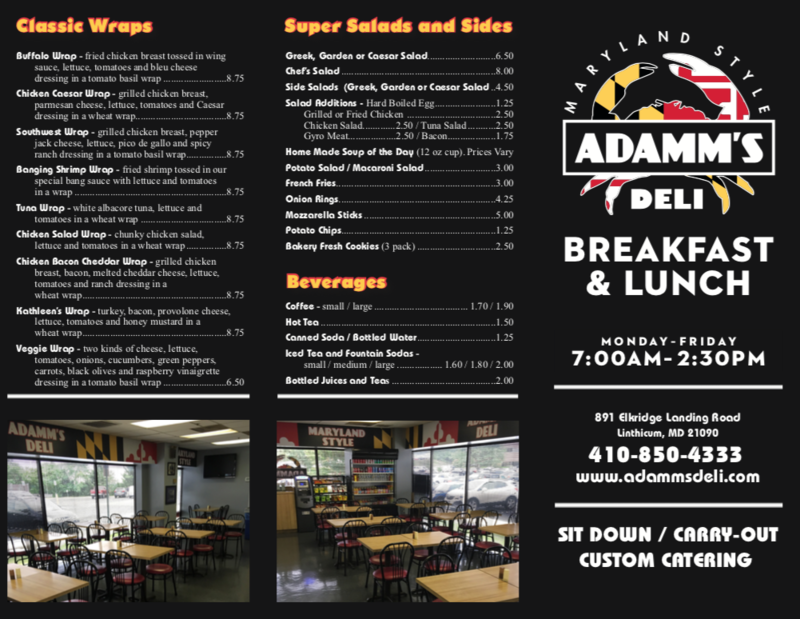 Adamm’s Deli will strive every day to make your breakfast or lunch experience with them among your very best.